If you have a sweet tooth, the habit can affect your teeth and gums, especially if you do not practice good oral hygiene at home or keep your regular checkups. When it comes to choosing between sugar and sugar substitutes, you need to have some information that can help you make a good decision. Are Sugar Substitutes Better Than Sugar? According to the scientists of the American Dental Association, sugar itself is not corrosive to the enamel, but rather, the bacteria found in dental plaque metabolizes sugar and releases acid that can break the enamel down. Sugar substitutes do not have the same effect as sugar and in fact some sweeteners called polyols, have antibacterial properties. Polyols include Xylitol, which is present in many sugarless gums and therefore, we recommend that you choose this type of gum if you do not have access to a toothbrush or toothpaste after a meal. In a 1998 article published in the British Dental Journal, scientists concluded that chewing sugarless gums that contain Xylitol can actually prevent dental decay by promoting the flow of saliva. 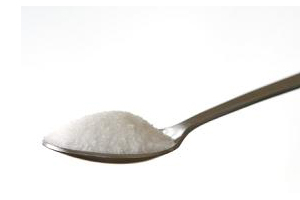 Do Sugar Substitutes Damage Your Teeth Like Sugar? A 2015 study by Australian researchers found that diet soda and sports drinks that use artificial sweeteners often do as much damage to your teeth as those who have real sugar. According to the scientist conducting the study there was no significant difference between the erosive potential of sugared and non-sugar soft drinks. Sugar free drinks that contain acidic additives can Soften the enamel by 30 to 50 percent. All but two, of the eight sports drinks that were tested in the study, were found to cause dental erosion and there was no significant difference between the erosion potential of sugary versus non-sugar soft drinks. The best thing to do is to drink water for hydration. If you play sports or engage in strenuous physical activities and need a little something else, coconut water is a good option to replenish lost electrolytes.